Lionsgate has announced a release date for its adaptation of the young adult science fiction series Chaos Walking, starring Star Wars: The Force Awakens' Daisy Ridley and Spider-Man: Homecoming's Tom Holland. 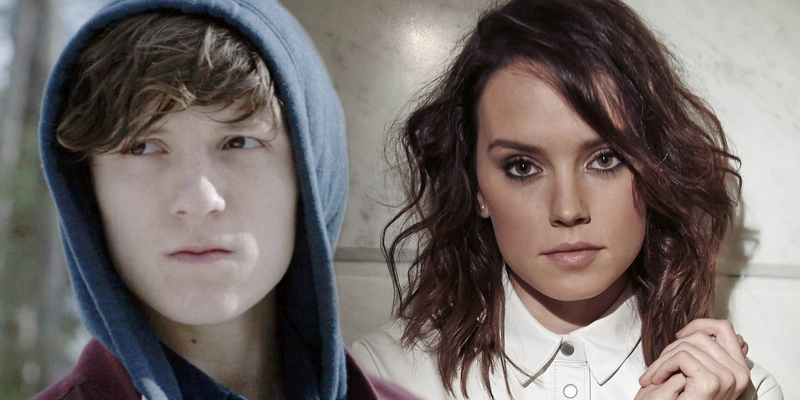 Less than three years ago, Daisy Ridley and Tom Holland were relative unknowns in Hollywood. Holland did have an impressive starring role in J.A. Bayona's disaster film The Impossible, but other than that film, these two young actors had not been heard from in any major roles. That's changed in a big way over the past year and a half, however, with Ridley headlining one of the most anticipated films of all-time in Star Wars: The Force Awakens and Holland making a splash as the MCU's version of Spider-Man in Captain America: Civil War and Spider-Man: Homecoming. The two will get a chance to test their bankability outside of those major franchises when they headline the Chaos Walking adaptation, and we now know when that film will be released. Lionsgate has announced that the first film in their possible Chaos Walking franchise will be released on March 1, 2019. The film will be directed by Edge of Tomorrow's Doug Liman, based on a script by author Patrick Ness, Eternal Sunshine of the Spotless Mind writer Charlie Kaufman, and The Blind Side director John Lee Hancock. Shooting is set to start filming next month, with Hollland wrapping on Avengers: Infinity War and Ridley in a break period between Star Wars sequels. The Chaos Walking series is a trilogy of science-fiction books written by Ness from 2008-2010, set in a unique dystopian world where all living creatures can hear each others' thoughts in a stream of spewing images and sounds known as "the Noise". Holland will play Todd Hewitt and Ridley will play Viola Eade, two young people who encounter various moral issues as they try to navigate through a dangerous world. The Knife of Never Letting Go was released in 2008, with The Ask and the Answer and Monsters of Men coming the subsequent two years. This is the second book of Ness' to be adapted into a feature-length film, with last year's A Monster Calls earning critical acclaim. Chaos Walking dates itself against a bit of competition, currently going up against DreamWorks threequel How to Train Your Dragon 3 and Logan director James Mangold's drama The Force, all just a week before potential superhero juggernaut Captain Marvel. It remains to be seen if Chaos Walking's marketing can overcome this competition, but with two young, up-and-coming stars and a unique premise, this has the potential to be be a big hit.